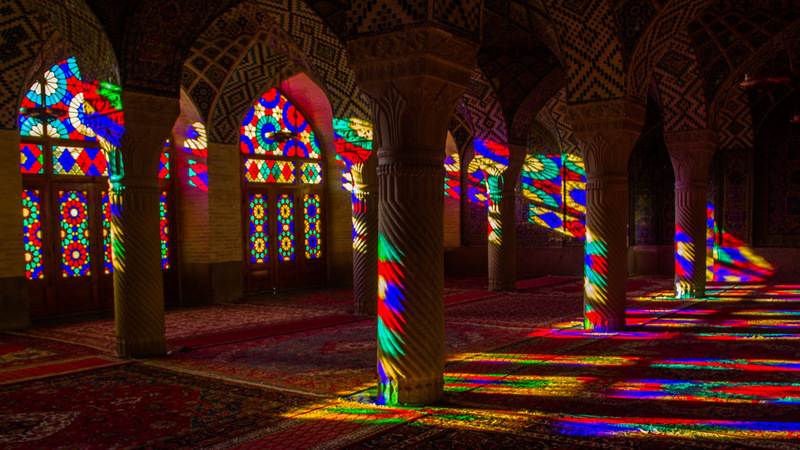 You don’t need to break your piggy bank to go backpacking in Iran. However, although most prices are very reasonable, there’s always ways to save a few dollars. Being budget backpackers, we took it upon ourselves to make our trip to Iran as cheap as possible without living like hobos and sleeping under cars. With a daily budget averaging $18 per person, we ended up succeeding in our quest. Keep reading to see 17 easy tips on how to make your backpacking trip to Iran cheap as chips, too! There are drinking fountains literally everywhere. 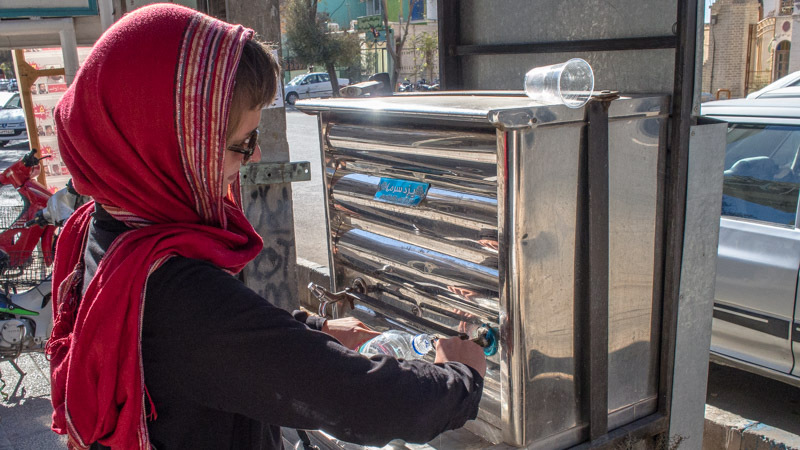 Iran is an arid country where water is scarce and the fountains are a way for the government to ensure everybody has access to drinking water. You’ll walk past dozens of fountains during the day so bring a bottle and fill up! 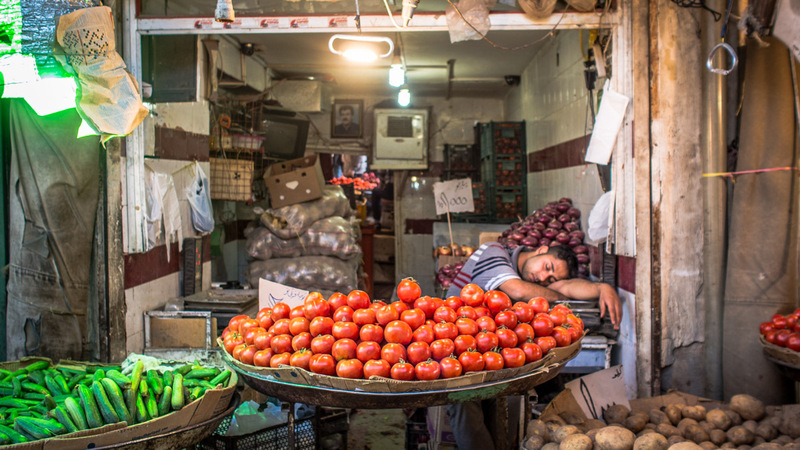 We love street food because it’s what the locals eat and it’s normally the cheapest option. Two of our favorite street foods in Iran are ash and falafel which are both very affordable. Ash is a tasty, thick spinach stew that costs $0.20 and will keep you full for hours. Although falafel is a bit more expensive, it comes in a massive sandwich with plenty of salad and dressing. If you get a little sick of street food and want to have a restaurant meal, eat at a local joint and not a tourist restaurant. In other words, steer clear of places with English menus and/or a location within 3 blocks of a tourist hub. As the famous budget backpacker saying goes: tourist prices are stupid prices. Hostel breakfasts consist of different kinds of Iranian flatbread, typically sangak or barbari, served with a variety of jams (who knew carrot jam was a thing?). There’s normally also hardboiled eggs and some cheese spread to mix things up a bit. It might not be super exciting, but hey, if it’s free, it’s good! If you’re sneaky, you can even make yourself a little lunch snack for when you get peckish later. Searching for good wifi in Iran is like finding a needle in a haystack. Instead of wasting money in cafes trying to connect to their frustratingly slow internet, you should consider getting yourself an Iranian SIM card with data. We bought an Irancell card for €8 and we didn’t even use all the data in two weeks. Now that you’ve got your SIM card covered, here’s another little fun detail about using the internet in Iran, there’s a massive firewall in the way. See, if you plan on showing how awesome your Iran trip is on Facebook (primarily to make your friends at home jealous, obviously), you’ll have to get yourself a VPN to get around it. In Iran, you can travel between cities on big and comfy VIP buses or normal, less fancy-shmancy buses. Price-wise, the normal buses are – surprise – about half the price of the VIP buses but that doesn’t mean they’re a rolling death trap. Although the seats can be a little squishy for a 6-foot person like myself, they still have AC and are just everyday touring buses. VIP buses only have three seats per row, resulting in some glorious extra legroom, but that’s really it. I was a bit naughty there. VIP buses are worth the extra money in one particular situation and that’s when you travel overnight. Even backpackers need to sleep at least a few hours on an overnight bus, and the extra legroom means you can lie almost flat. Only having three seats per row also means you can kind of lie comfortably on your side without staring straight into your neighbor’s beautiful eyes. It’s obviously no king-size bed, but when it comes to night buses, Iran’s VIP buses do a pretty good job. 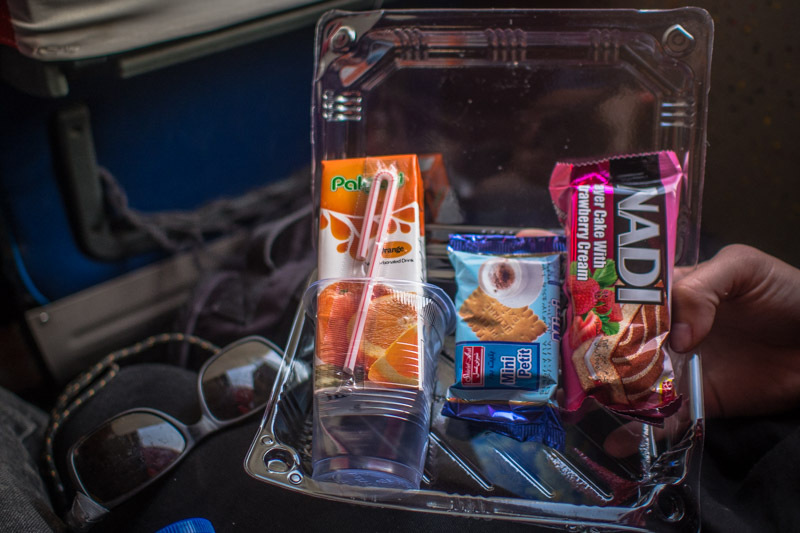 That’s right, the bus guys give you a cozy little snack pack when you travel on long distance buses, complete with a juice box and everything. It normally also consists of some sort of biscuit and/or a piece of cake which is just what you need when you need to kill a couple of hours. Kick back in your seat and pretend you’re just an Iranian school kid on his way to school rather than an adult with probably no idea of what you’re doing with your life. The public transport system in Iran is quite good, especially in Tehran where they have modern buses and a brand-spanking new metro system. The best part is that not only is it easy to get around, it’s also dirt-cheap. We averaged a ridiculous €0.3 per ride which is sweet music to any budget backpacker’s ears. Oh, and if you use the public transport, you also get to see what it’s like to be on a gender-divided bus. Interesting experience to say the least. Apart from the capital itself, all the major cities between Tehran and Shiraz – Kashan, Esfahan, Yazd – are easily walkable. All the touristy must-sees are never more than an hour’s walk from each other, making walking your best bet for saving money on transport. We didn’t personally hitchhike in Iran, but bumming a ride in a place that’s known all over the world for its hospitable people sounds like a recipe for fun adventures. We met several people that had done it and it seems to be pretty straightforward. Go for it! Tourist attractions are 8-15 times more expensive for foreigners than for Iranians. This quickly becomes a bit annoying and can drain your budget if you get carried away and visit a couple of places each day. Go when the ticket sellers are not super busy and try to bargain with them and you might have luck. We were able to get 2-for-1 tickets several times and even the local price on a few occasions. If you opt for this option, it might be a good idea to throw on a worn-out shirt from the bottom of your backpack to look a little extra broke. Iran is a beautiful country and the tourist attractions are both interesting and stunning (well, most of them anyway). However, a few mosques and gardens do charge quite elevated tourist entry prices that, once you’re inside, just don’t really feel like they’re worth it. After being frustrated by this a few times, we eventually became a lot more picky about which attractions we chose to buy tickets for. Sometimes, when our haggling failed or one of us wasn’t so keen on entering, we’d separate and just get one ticket. In our opinion, the Golestan Palace in Tehran is a pretty good example of one of those places that charge just a liiiiittle bit too much (I personally call it the most overpriced attraction in Iran). On top of the general entrance fee of 150,00 IRR, you then pay an additional fee for each of the other parts of the palace you’d like to see. Since there’s a total of 9 different areas, you could potentially end up paying no less than 940,000 IRR or a whopping €24. For most budget backpackers, that’s a bit rich. I mean, that’s quite a lot of ash. To save money, we chose to only see the garden and the Mirror Hall, which is the most famous room in the whole museum. 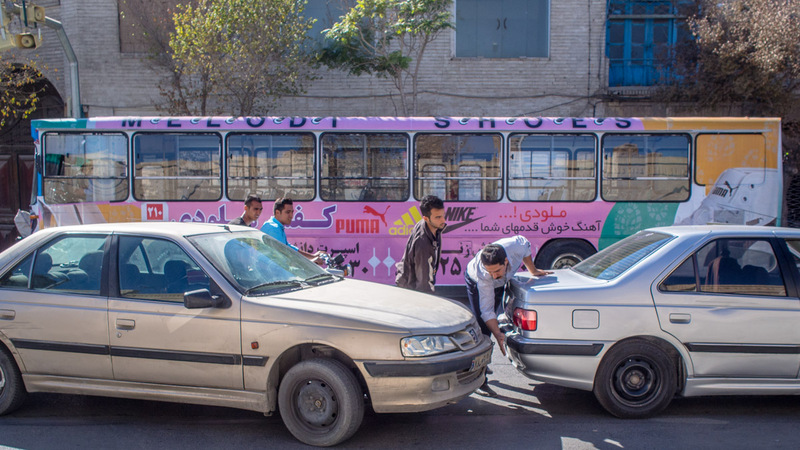 In Iran, it’s a thing to hire taxis to take you on day trips and the drivers generally have set prices for the tours in their area. We did a couple of taxi tours in Kashan, including one into the Maranjab Desert where we made friends with some very laidback camels. The price for the tour is decided on a per car basis, so if you team up with fellow travelers it’s actually quite a cheap tour. We teamed up with two lovely French and Swedish blokes to make a four-person car and thereby only pay $10 each for 8 hours. Now, that’s a sweet deal! In Kashan, another popular tour is a private taxi from Kashan to Isfahan via Abyaneh which is a small, ancient hillside village. With four people in the car, this tour actually worked out to be the same price as trying to independently get to Abyaneh with public transport. That, and it was also just a hell of a lot easier since the bus connections between these three cities are pretty much non-existent. When we say huge, we mean huge. Despite being technically illegal in Iran, the reality is that the Couchsurfing community in the country is alive and well. Although the main reason for staying with a local host should be to make local friends and get to know the culture, it’s definitely also a great way to save a bit of money on accommodation. Finally, mixing it up and sometimes staying in guest houses rather than in popular hostels can also help bring your budget down. Every major tourist city in Iran has hostels and their dorm beds average €8-13, while the prices at guest houses located outside of the tourist districts are normally cheaper. You might have to go on a little hunt, but just think of all the kebabs you can eat with the money you save! Now Go Backpacking In Beautiful Iran! Hey man….. Someone told me here in the Hostel that they found it on your website! You took such a beautiful pictures, may I ask what kind of camera do you have?